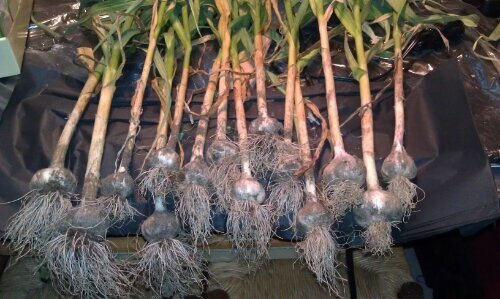 This is the first time I’ve grown garlic and thanks to farmer Clem I was successful! I pulled it up today so it needs to dry for 2 weeks then I’ll store it and use it. Previous Post Eat some delicious, nutritious watermelon since it’s in season!